When an emotional Cristie Kerr won the recent Lacoste Ladies Open de France and dedicated her victory to the memory of two friends who lost their battle with breast cancer, she didn't hold back. "I played for cancer, and we lost Cassandra (Kirkland) and we lost a good friend of mine back home on Tuesday to cancer,” said an emotional Kerr. “I’m sorry, but f*** cancer. Such is the emotional toll caused by cancer that it's not the F-word that bothers people so much as the C-word itself. But one Irish woman has shown her determination to help as many people learn to deal with a devastating cancer diagnosis as she can by starting a support group for people with Stage IV, incurable, metastatic cancer in Dublin. Judy Byrne Murray is just 51 but having been diagnosed with Stage IV metastatic breast cancer more than two and a half years ago, she's applied a golfer's "one-shot-at -time" philosophy to her battle with the disease and had the year of her life on the golf course. 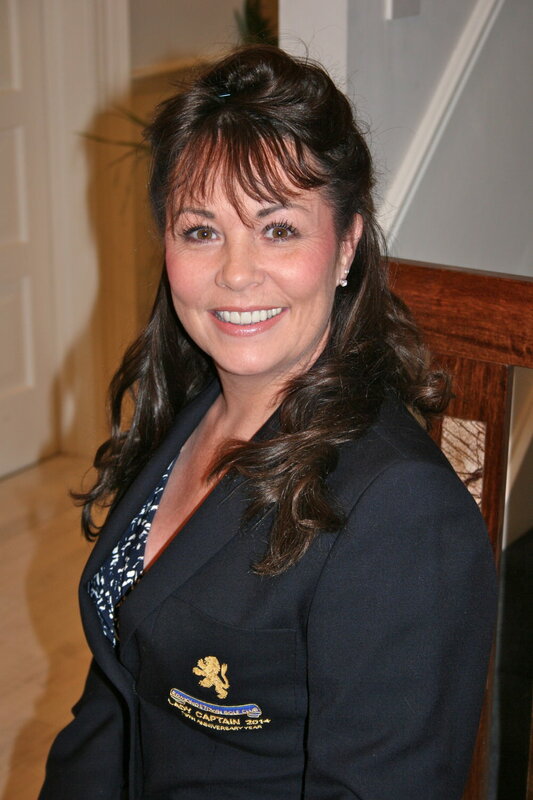 In August, she pulled off what must go down as one of the most inspirational golfing feats of the year when she won the Lady Captain’s Prize at Edmondstown by a whopping six points, achieving her career ambition and getting her handicap cut to 12 into the bargain. A feisty competitor (and a mother of three), this former hockey player and award-winning cricket wicket-keeper had been aiming to win the Lady Captain's ever since she took up the game in 2002. 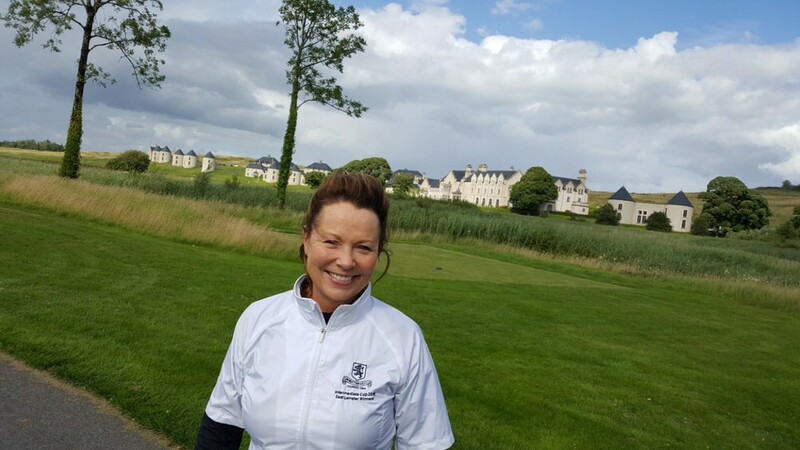 But while her win led to her being named as Edmondstown’s Lady Golfer of the Year, her love of the game not only gives her great pleasure and precious time with friends, it is also a constant reminder to her to live every moment to the fullest and leave the “what ifs” of tomorrow to one side for a few hours. “Sadly, approximately 30 percent of all women diagnosed with early-stage breast cancers will re-present at a later date as Stage IV,” said Judy, who set up a metastatic group that meets in the ARC Cancer Support Centre on Eccles St. in Dublin on the first Wednesday in every month. “It’s a worry that many women constantly live in fear of once they have completed their treatment. I believe that my interest in golf and being able to stay in the moment has made a huge difference to how I handle my prognosis,” added Judy, who holed the winning putt for Edmondstown in last year’s Intermediate Cup Eastern District final at Milltown, giving the ladies’ club its first pennant. “To me, cancer is not unlike golf — you must keep your mental strength by staying in the moment and not thinking ahead. It’s day by day, shot by shot and we all know that it is that ability to stay in the moment that wins competitions!" Although Stage IV is incurable, it does not mean that you have to stop participating in life, or in my case, playing golf. Speaking just before the recent National MBC Awareness Day on October 13, he said: “For me, tomorrow’s awareness day should highlight the people at Stage IV who might just have had that diagnosis and literally can't cope or even go out. “Lots of people just want to curl up and die when they get the diagnosis, but there is a lot more living to do!" ARC provides crucial support to cancer sufferers and their families and Judy is encouraging all lady captains looking ahead to their charity days next year to think of ARC and the services they provide, not just to the people with cancer, but to their family members, friends and carers, through their Drop-in Centres. “Our group is open to all those who have a metastatic diagnosis, we are all ages and from all walks of life yet we are comfortable in each others company as everyone in that room knows exactly how the other feels,” Judy says. While few people have her mental strength — she even took her Law Degree as a mature student at Trinity College in 2006 — that doesn’t mean she doesn’t have her dark days, especially around special occasions such as Christmas. “I choose to be happy and enjoy life,” she says, sprinkling our chat with dollops of great humour. “There is no point in being all doom and gloom — sure it is out of my control. “Although Stage IV is incurable, it does not mean that you have to stop participating in life, or in my case, playing golf. “I try to enjoy each day and not think about tomorrow because it is promised to none of us. And I love golf, even though there were times when every bone in my body was aching. Family support is huge and Judy’s father Tony, the former Shamrock Rovers footballer, was one of the first to urge her to live in the moment. “So we are all on the conveyor belt, and we just have to put it out of our minds and try to enjoy each moment. “That's what I try to do. Sometimes you can't help but think ahead, but having Stage IV breast cancer really does help me stay in the moment. “I go to St Vincent’s Hospital for my treatment every three weeks, and I am well at the moment, and I feel good, and hopefully, I will be awake tomorrow. 559 South Circular Road, Dublin 8 (T: 01-7078880). Ballybunion’s Old Course will host the Jacques Leglise Trophy for the first time from 1-2 September 2017.